Planet of the Apes | ExpressCasino.com - Top Online & Mobile Slots Jackpots! Planet of the Apes | ExpressCasino.com - Top Online & Mobile Slots Jackpots! Remember the famous science fiction by HG Wells? Or have you seen the popular movie-based on the novel? 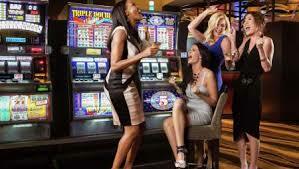 Well, here is a chance to feel the same excitement on the casino reels. Recently launched by Net Entertainment, Planet of the Apes Slots provides you with that same excitement and thrill. With great features and rewards to play for, this online slot is expected to take the online gambling circuit by storm. If you are a gambling enthusiast, you should play this slot to experience the great gameplay experience. Log into Express Casino today and start playing this lovely game and become richer! The Planet of the Apes Slots comes with some innovative features that make it a different from other science fiction slots. It comes with a dual reel system and some multiple bonus features that make it more attractive. It consists of 5 reels, 3 rows and 20 fixed paylines. At each level of these dual reels, the different stages of the life of Caesar, the leader of the ape army is depicted. Each reel needs to be taken as a separate set and the player can get individual rewards based on the gameplay. This is where proper strategies are needed to win. Each reel in the Planet of the Apes Slots has its own name and significance. The left reel is referred to as the Rise and consists of symbols like Caesar, three more characters from the Rise of the Planet of the Apes and the letters and alphabets 10, J, Q, K and A. On the other hand, the other reel is referred to as the Dawn and those symbols comprise Caesar, three more characters from the Dawn of the Planet of the Apes and, again, the same letters and alphabets of 10, J, Q, K and A. The wild symbol is the gold and it replaces all the other symbols except the scatter. Bonuses form an attractive feature of the Planet of the Apes Slots. At both the reels, you get to bag good bonus features in the form of re-spins. The Rise & Dawn bonus features can be triggered if you land the Rise bonus symbol on the first reel and the Dawn bonus symbol on the fifth reel. In addition, you are awarded free spins if you land three scatters on the Rise reel and the Dawn reel. To know more about this slot, visit the games section of Express Casino. Overall, the slot offers a thrilling experience to its players owing to its unique gameplay and a well-thought set of bonus features.